Acting mayor Jane Williams-Warren on Thursday morning announced the appointment of Brian McDermott as the city’s new fire chief effective Jan. 1, 2018. McDermott, who has been with the city for the past 22 years, is succeeding outgoing fire chief Michael Postorino. McDermott has been working as acting chief until the mayor’s appointment this morning. He is leading a fire department that has 410 employees including fire inspectors, firefighters, and other personnel. Paterson’s new fire chief, Brian McDermott. Williams-Warren’s appointment was well-received by council members. Councilman Michael Jackson, chairman of the public safety committee, described McDermott as an outstanding pick for the job. “He’s done a fantastic job thus far as a deputy chief. I’m expecting he’ll continue to do a great job,” said Jackson of McDermott. McDermott began as a firefighter in 1995. He was promoted to captain in 2004. Battalion chief in 2009. And deputy chief in 2014. “I’ve worked closely with McDermott. He’s a fine person. He knows what he’s doing,” said council president Ruby Cotton of McDermott. He has been in charge of inspections and investigations in the fire department. “He’s very capable. I have no objections,” added councilman William McKoy. Councilman Andre Sayegh agreed with his colleagues on the pick. He said McDermott was instrumental in shutting down a number of problematic nightclubs in the 6th Ward. “I think it’s a good choice,” said councilman Kenneth Morris. “I can support her choice.” He said the council does not have to confirm the appointment. However, the council has to approve the contract with the new chief. Morris and others praised the outgoing fire chief. Postorino will retire effective Dec. 31, 2017. He has been with the department since 1989. “Our fire department is probably one of the state’s most highly ranked departments as far as response time. He’s done a superb job,” said Morris of Postorino. As chief he also ensured his men and women had the needed equipment to properly carry out their duties. Postorino aggressively went after grant funding to keep his department fully staffed. 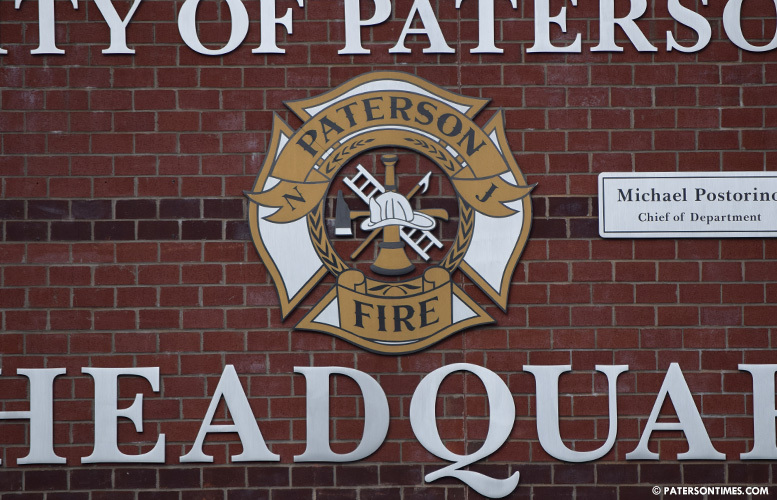 He also launched an effort to turn Paterson into a regional fire and emergency services department entering into shared services agreements with neighboring towns. Postorino retired at 53 rather than the mandatory retirement age of 65. 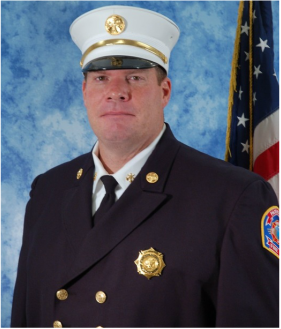 He earned the highest salary — $255,000 — for a fire chief in New Jersey. He is owed a $232,000 severance payout for accumulated leave time. “One could argue he was worth the money given the high regard the department was held in throughout the state,” said Morris. McDermott is likely to continue the regionalization approach taken by his predecessor. He plans to push for better community engagement and public education to prevent the next fire. “My focus is on public education. I really want to try to prevent the fires before they start,” said McDermott, 45, of Wayne. He also wants young people in the city to admire and aspire to become firefighters. “I want kids from the city to be firefighters,” he said. The city is very lucky to have such a Great guy to lead the Department!!! Congrats to him and his Family.